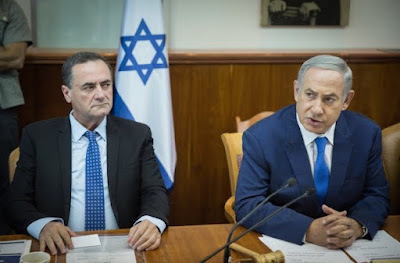 The Israeli Transport Minister presented his initiative to connect Israel with Jordan and Saudi Arabia, establishing a plan that will allow easy, safe and cheap access to the Mediterranean Sea for the Arab countries. Israeli Transport Minister Yisrael Katz this morning unveiled his plan to connect Israel with neighboring countries through a rail network extending to Jordan and from there to Saudi Arabia and other Arab states in the Persian Gulf. The plan, which was presented at a press conference, was named "Rails for Regional Peace" and traced the route of the train, which will leave the city of Haifa, travel to Beit Shean and pass through the Jordan before reaching Irbid, In the capital of Jordan, Amman. Katz said Arab nations are seriously considering the blueprints: "I am optimistic about our ability to promote it." Citing the potential benefits of his plan, the minister explained that he would help transform Jordan into a cultural center. It would also allow the Palestinians to access not only the port of Haifa but also the Arab countries, which in turn will be connected to the Mediterranean by land. Katz said that when he presented his plan to US President Trump's adviser to Israel, Jason Greenblatt, he was "deeply impressed" and promised to advise Trump to support him. "Since the meeting, there have been more contacts with the Americans," said Katz, adding that Israeli Prime Minister Benjamin Netanyahu is also supporting the project. According to the minister, the initiative will avoid a humanitarian crisis and promote economic prosperity, while serving as "a basis for future political efforts."